The more time we spend dabbling in any given interest the more our interests shift. It's easy to forget our humble beginnings as our focus moves toward specializations. All sportsmen move through stages, though there are different interpretations on what these stages actually involve. One thing most commentators agree on is that the first stages surround a simple idea of success. For an angler this means catching a fish, any size or species. The what and how don't matter all that much, as long as something is being caught. When young, I think most of our childhood is spent in the simple catching stages. 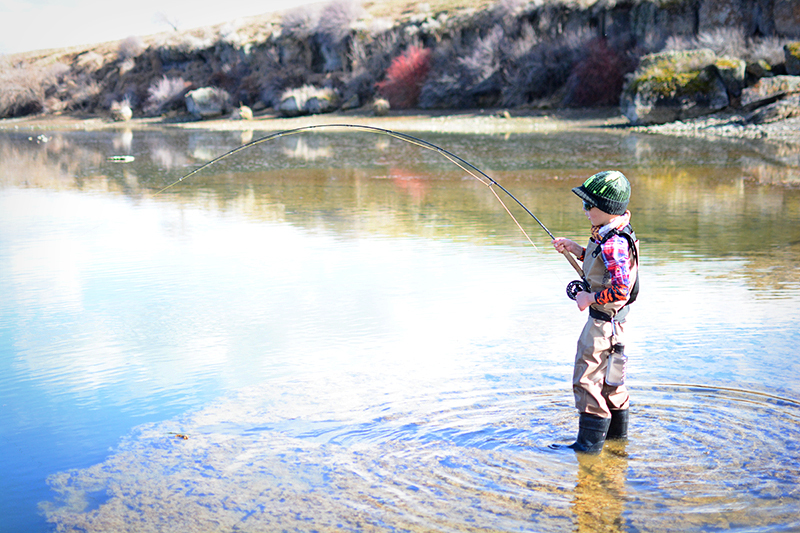 Kids could care less about what is caught, just that there is catching going on. 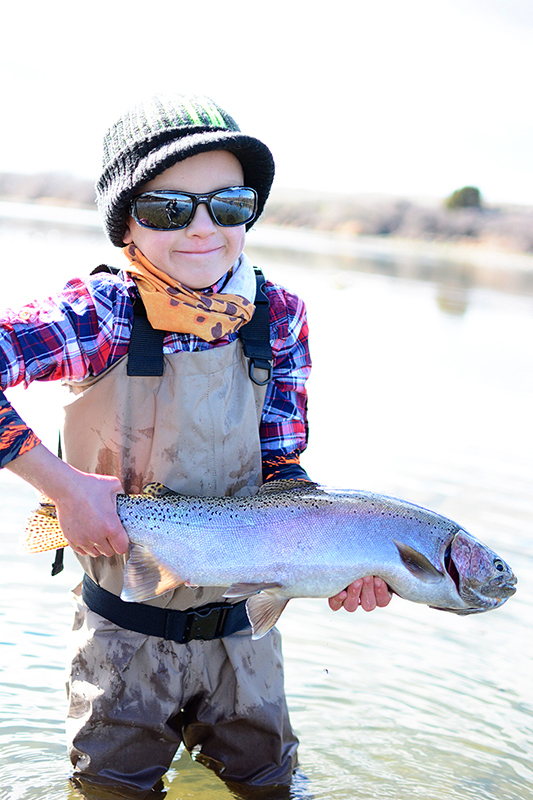 In fact I have come to believe that kids prefer catching multiple manageable-sized fish over many big ones. Too big of a fish and it turns into work. "Youth cannot know how age thinks and feels. But old men are guilty if they forget what it was to be young...."
"The world will never starve from want of wonders, but only want of wonder." As my children grow I find myself being reminded of the simple reality that joy is a result of gratitude, accompanied by a strong sense of discovery and creation. It really does not require much for a child to be happy. Love, attention, and something wholesome to do go a long way in a child's world. A handful of trout only help. Will and I spent the day putting riverrock under foot, chatting about the things we saw in between fishing holes. He went on and on about some obsidian scattered on the riverbank, asking all sorts of questions I had no answer to. He was assured when I convinced him that we could look up the answers at a later time. His sense of wonder and faith in the things around him and his own abilities often causes me to question what exactly smothers those qualities out of adults. He kept asking to cast in places I was fairly certain there would be no fish, or were too difficult for him to manage a snag-free drift. Maybe we just get used to people telling us "no, it won't work there," "there's no fish in that spot," or "you'll only get snagged if you cast there." As the day wore on we moved around and continued to cover the water. Will had made a bunch of casts in one often productive run, missing one good take, and not hooking anything. He took a short break to warm up his hands and rest. I took the opportunity to cast some, hooking a couple fish. I think seeing a couple fish caught increased Will's desire to fish enough to overcome his desire for warm hands. After a couple minutes he picked up his rod and wandered back to the waters edge. I prepared to stop fishing and begin helping him once more but he simply said "Dad, I'm just gonna cast over here." Inside I thought, "he probably won't catch anything right there, but it probably won't hurt anything." Not even a minute later he began shouting, and I turned around to see a very bent rod and Will in the thick of battle. 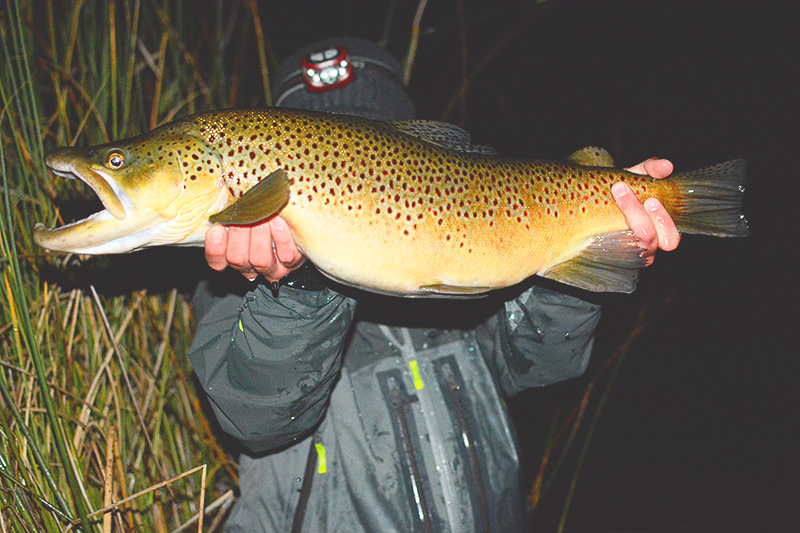 It was a brute trout that showed no mercy for his youthful adversary. I quickly hurried over to help, preparing the net, feeling like Christmas had just come. The fish peeled line off the reel. After a great tussle, Will finally managed to pull the trout shallow enough for me to scoop it into the net. Will was nothing but smiles, and I'm sure my face was a mirror image. His faith paid off, despite my experience-induced doubt. This is becoming a recurring theme on our outings. The effect of his raw faith and persistent effort produces fish where they, as viewed by an experienced mind, should not be. Some people choose not to have children. I don't blame them. They are work. They eliminate options. They are not always fun. They break things. They cost money. They cause worry and anxiety. BUT. They give you someone to serve. They make you love. They help you have faith. They bring you true and lasting joy. They become your lasting friends. And, they help you remember the hope and wonder you once had in the world, and they help you have it again.